Might as well ship Mark Red out since he is always injured anyway. MUFC are basically paying an 80K per week salary to an employee that never shows up to work. Perhaps more prudent to use that salary to pay an able bodied employee (perhaps bring Tuanzebe back from loan and save 12-25% on salary). Worried about Lingard vs Jorginho, could be something straight outta Luther. praising Luke Shaw shows just how far our standards have fallen. Last edited by tfco on Tue Feb 12, 2019 10:26 pm, edited 3 times in total. should be an interesting game! 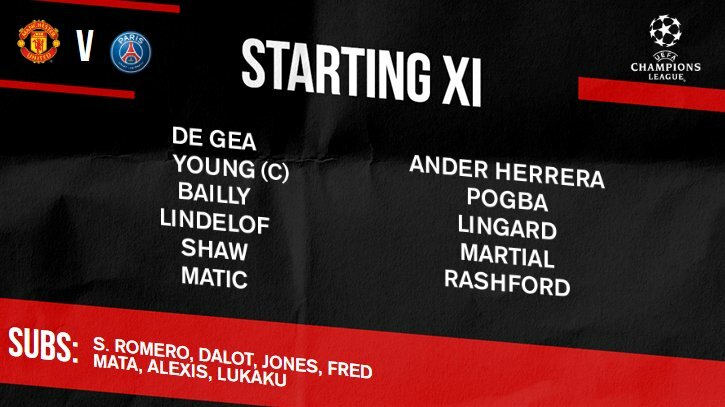 even without Neymar and possibly Cavani, they still have good players, sometimes the unknown factor is rather scary, well we are in old trafford, i expect us to turn up and get a result! Who cares about this game? Abeg, zagalo this thread to other sports. He can't move the ball...let him sit. A simple 2-0 will suffice. I was concerned about Mbappe but he has no one to give him the ball. "I watched a lot football last year when I was out in Spain. I was really disappointed with the quality of the premier league. I have got to say what has happened in the summer with the managers and the influx of more players I think this is going to be our best season." pogba has not gotten into it yet. Are you really watching this game?